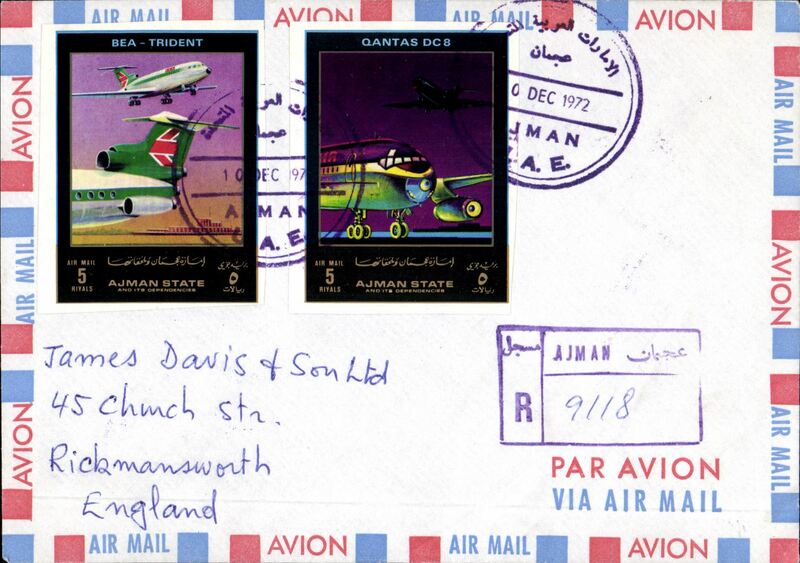 Ajman to England, registered airmail cover franked 5 ryals BEA Trident anf 5 ryals Qantas DC8 , canc fine strikes Ajman/UAE/10 Dec 1972 cds's. Ajman is the capital of the Emirate of Ajman in the United Arab Emirates, located along the Persian Gulf. Scarce. Image.